Vivo launched V5 in India on 15th November 2016 with a massive upgrade to the front camera. Vivo V5 showcased a stunning 20MP selfie camera with Moonlight flash. It looks like Vivo is stepping up fast to be on top of Smartphones featuring brilliant selfie camera. Earlier this month Vivo was seen sending invites for the launch of Vivo V5 Plus. Finally, today Vivo V5 Plus with Dual Front Cameras launched in India. Vivo’s new smartphone is all about selfies. From the last few months, we have seen a different brand positioning strategy of Vivo. Starting from the new hoarding designs to appointing Ranveer Singh as the brand ambassador in India, they are set to define themselves as young and fashionable mid-end brand, focussed on Camera and Music. Thus the new smartphone Vivo V5 Plus (centered on Camera and Music) stands at par their fantastic marketing strategy. Vivo is making it difficult for Indian smartphone brands to compete with them. Vivo V5 Plus comes with a 5.5-inch IPS LCD screen with Gorilla Glass 5 protection & 1920 x 1080 pixels resolution. Vivo V5 Plus is powered by a 2GHz Octa-core Snapdragon 625 processor coupled with an Adreno 506 GPU. The phone comes with 4GB RAM and 64GB of onboard storage (expandable to 256GB via microSD). The 2nd SIM slot of Vivo V5 Plus is of hybrid design. Vivo V5 Plus is a Dual SIM 4G LTE capable smartphone featuring Dual Front Camera for selfie fans. The dual front camera sports a 20MP + 8MP setup with a f/2.0 aperture. The 20-megapixel front camera uses Sony IMX376 1/2.78-inch sensor with f/2.0 aperture and 5P lens system. The 8 MP second shooter collects the depth of field, known as the Bokeh effect. V5 Plus comes with a 16MP rear camera with a f/2.0 aperture, phase detection auto-focus and LED flash. Vivo V5 Plus runs on Funtouch OS 3.0 based on Android 6.0 Marshmallow and carries a 3160 mAh non-removable, fast charging battery. It weighs 158g with 152.6 x 74 x 7.3mm dimensions. The Vivo V5 Plus sports a metal body with curved edges and1.8mm U-type antenna. It shines with metal Mirror Grinding polishing. The audio chip has been given a boost integrating Hi-Fi music system with AK4376 chip and XE680 earphone. Few software features has been added to boost productivity like Smart Click, Super Screenshot, One handed mode, Smart motion, Smart split, etc. 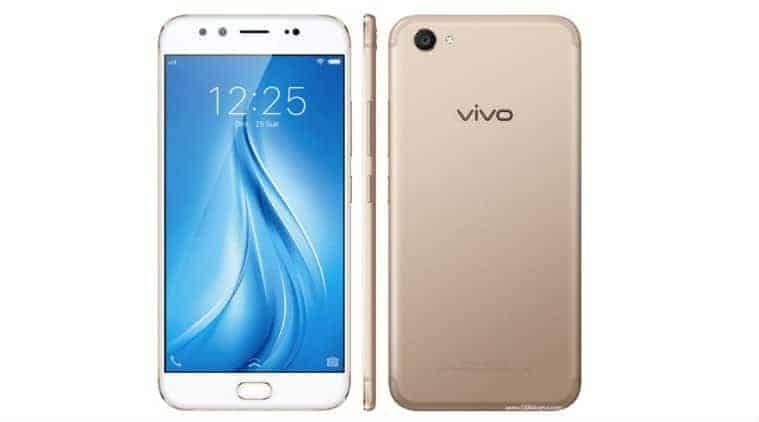 Vivo V5 Plus is priced at Rs. 27,980 and is available exclusively on Flipkart. You can pre-book the phone from January 24th that is from tomorrow and the first flash sale is from February 1st.